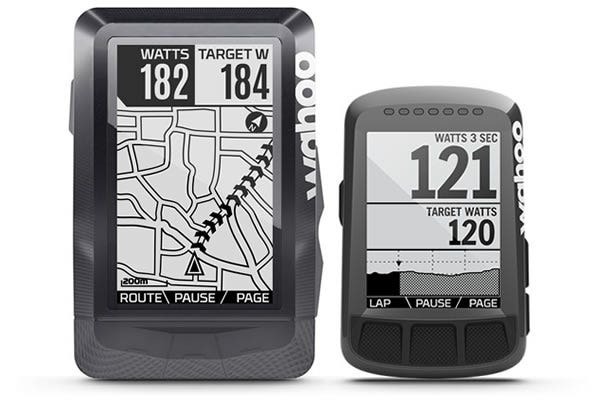 Every Wahoo GPS Bike Computer comes with a free 30 day trial of Best Bike Split. An Integrated Race Plan + Wahoo = Your Best Bike Split Ever! 4. Race to your best bike split! 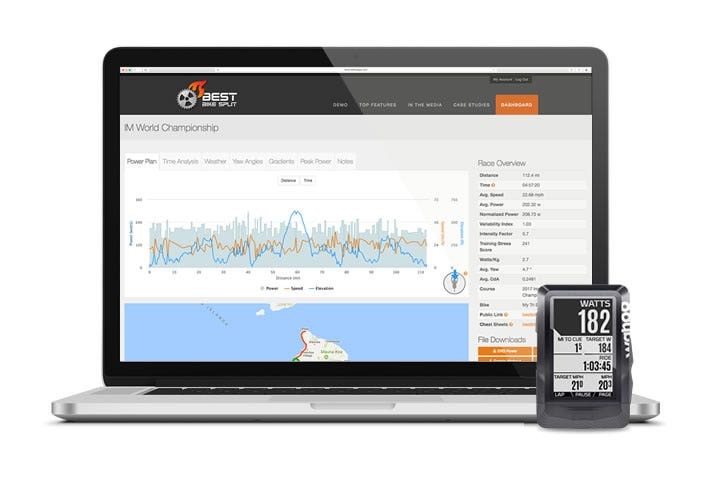 Best Bike Split and Wahoo teamed up to provide the next evolution of race day planning and training. The Best Bike Split app fully integrates with your ELEMNT or ELEMNT BOLT so that your custom built Race Plan will display your power and speed targets along each section of the course to ensure your best possible bike split! 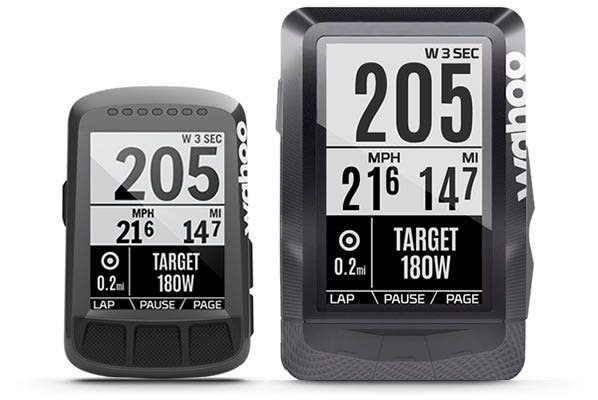 Wahoo ELEMNT and ELEMNT BOLT show vital Race Plan information in real-time, including your target power, speed, and distance until your next target. When one target ends and the next begins, ELEMNT gives you a visual and audio notification so you never miss a target and stick to your Race Plan! Racing in a new area that you are unfamiliar with? The ELEMNT or ELEMNT BOLT will direct you where to go on the map page and show you the elevation profile on the climb page, so you are always prepared for the course ahead. Ride your Race Plan before race day! 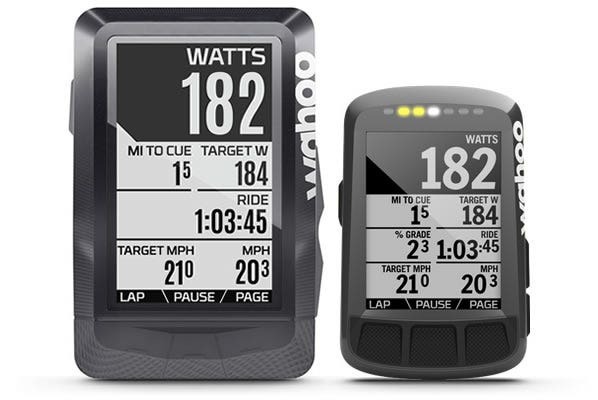 When a Wahoo ELEMNT is paired to a Wahoo Smart Trainer with your Best Bike Split Race Plan loaded, your KICKR will automatically change resistance to give you the most accurate race day simulation available. Perfect for practicing your Race Plan! Register your Wahoo ELEMNT or ELEMNT GPS in the Companion App (iOS or Android) by entering your email address in order to receive your free 30 days of Best Bike Split Premium. You will receive an email shortly after registration with instructions on how to redeem your free 30 days. A Premium Annual Subscription is required, but you may cancel within 30 days and pay nothing. 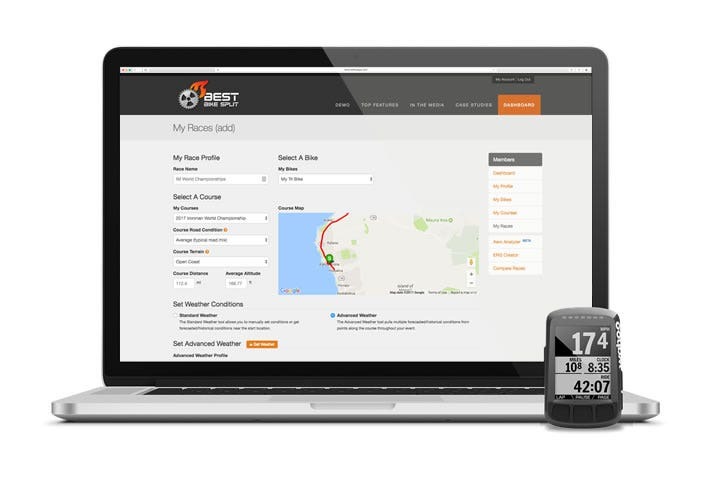 Offer Terms and Conditions: Offer valid on any registered ELEMNT or ELEMNT BOLT GPS Bike Computer. To register, create an account or login in the Companion App when pairing your computer. Offer is for a free 30 day trial of Best Bike Split premium annual membership. Offer is valid for new and existing Best Bike Split users when you choose to upgrade to the premium annual membership. If you wish to cancel or not continue with a Premium annual Membership, you must cancel with Best Bike Split within the 30 days to prevent auto-renew. For questions concerning Best Bike Split, please visit www.bestbikesplit.com/support.